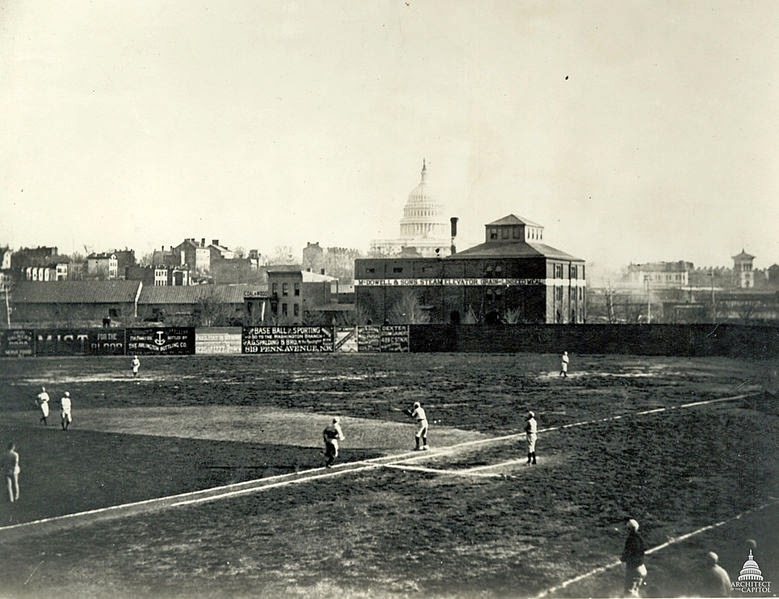 Swampoodle Grounds, also known as Capitol Park (II), was the home of the Washington Nationals baseball team of the National League from 1886 to 1889. The park was named for the surrounding Swampoodle neighborhood. The right field and the infield portions of the site are now occupied by the Union Station (Square 678). The left field portion was later occupied by the Main Post Office, which is now the National Postal Museum. The owners of Square 678 in 1887 were listed as Thomas Galt and William Smith; they owned the west side together, and had split up the east side with Smith owning the top portion and Galt the lower half. 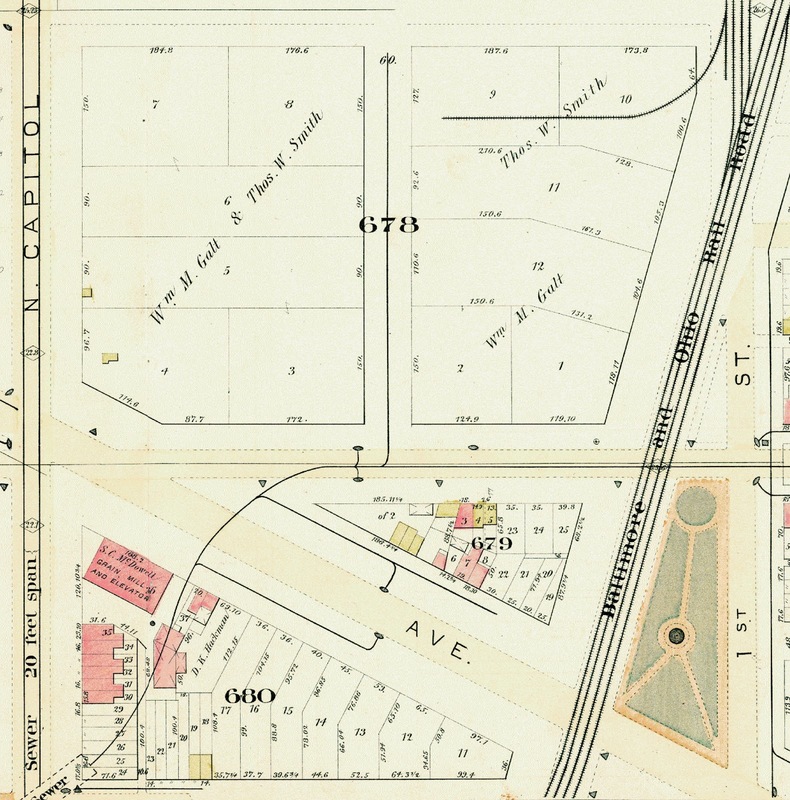 On the 1887 Hopkins map seen here, there are just a few small wood frame buildings on the entire square (those yellow squares you see on the west side of the square). One was built in 1887 as a "clubhouse" by the Washington Baseball Club, according to the building permit index. It measured 10x30 feet, and had to be removed within 90 days upon request from the owner of the land. That was all about there was in regard to physical structures. Spectators apparently lined the edge of the field instead of sitting in grandstand seats. Swampoodle Grounds held 6,000. The Washington Statesmen folded after the end of the 1889 season.